insightful rationale that encourages self-study. A final exam consisting of 200 questions of the various types, is also included at the end of the book, once learners have mastered the previous levels. Marty Rutledge is a Firefighter/Engineer and EMS Program Manager for Loveland Fire and Rescue in Loveland, Colorado. Marty is a member of the Fire Certification and Advisory Board to the Colorado Division of Fire Safety, serving also as the State First Responder program coordinator. He is also a member of the Colorado State Fire Fighter's Association and has over 11 years of fire and emergency services experience in both volunteer and career ranks. 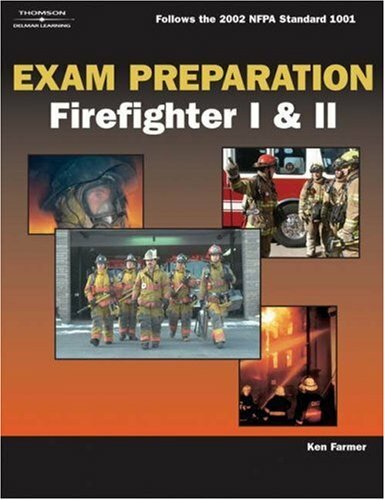 Marty also authored and served as technical expert for a supplementary firefighter training package for Delmar Learningï¿½s Firefighter's Handbook.